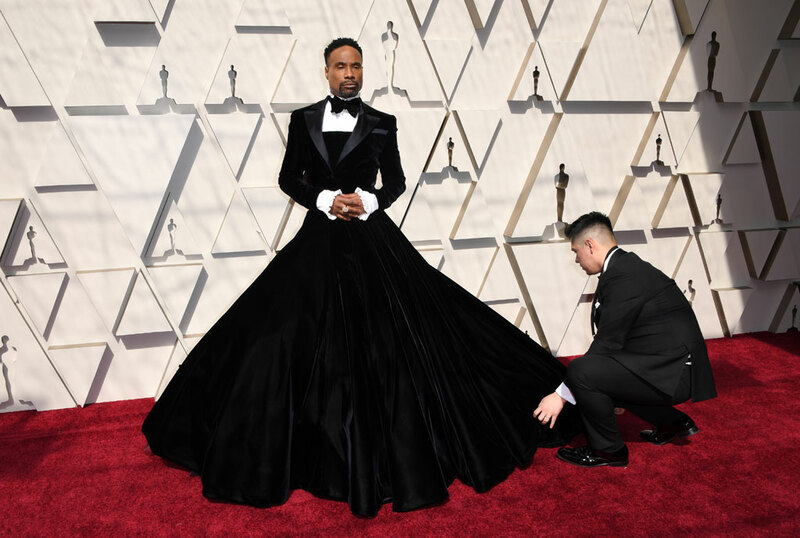 Hollywood’s biggest stars strutted their stuff on the Oscars red carpet Sunday, and a few trends emerged: old school glamour, metallic gowns, lots of pink, trousers on the women… and one stunning gown on a man. 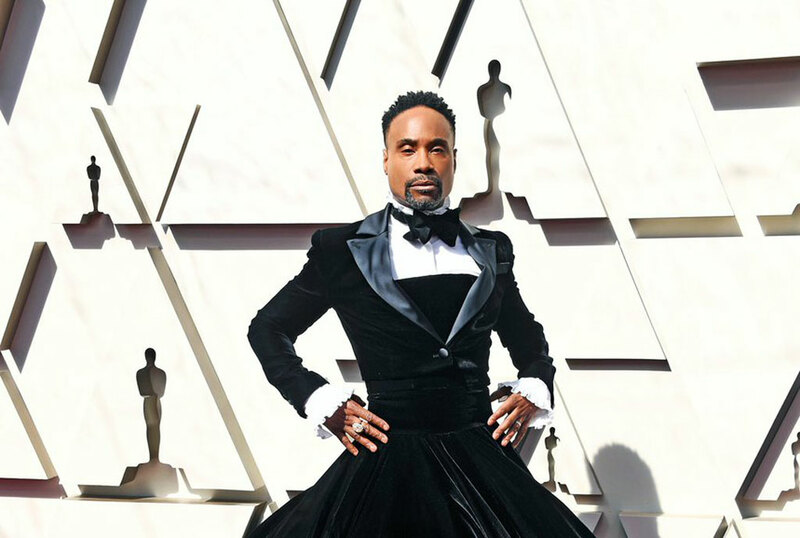 Actor Billy Porter turned many heads with a Christian Siriano black velvet tuxedo gown. Yes, you read that right. Respect. 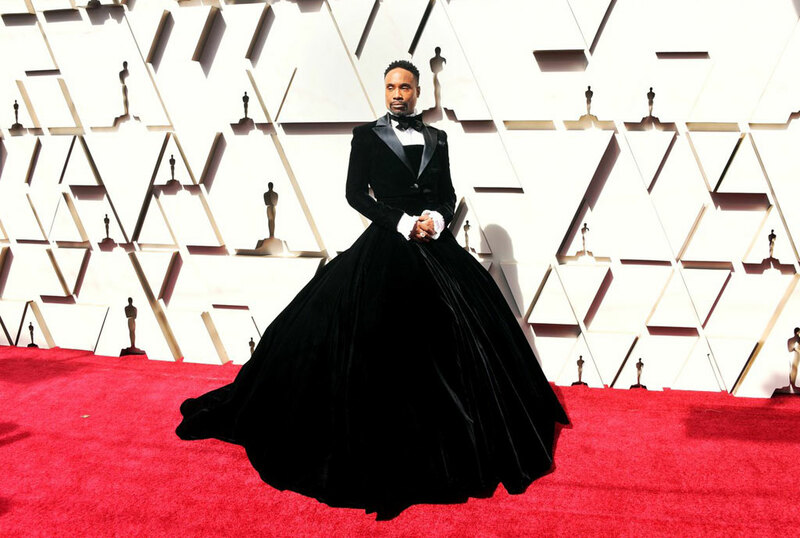 The Pose actor was the first star to arrive at the Dolby Theatre in Los Angeles, wearing a custom high-necked dress by designer Christian Siriano which featured a velvet bow tie, a sweeping skirt and ruffled white sleeves. Porter told Vogue US that he opted for the eye-catching style in a bid to “challenge expectations” of masculinity. Porter’s look was a huge hit on Twitter, with fans joking that other stars should “go home” as the actor had already “won” the red carpet. 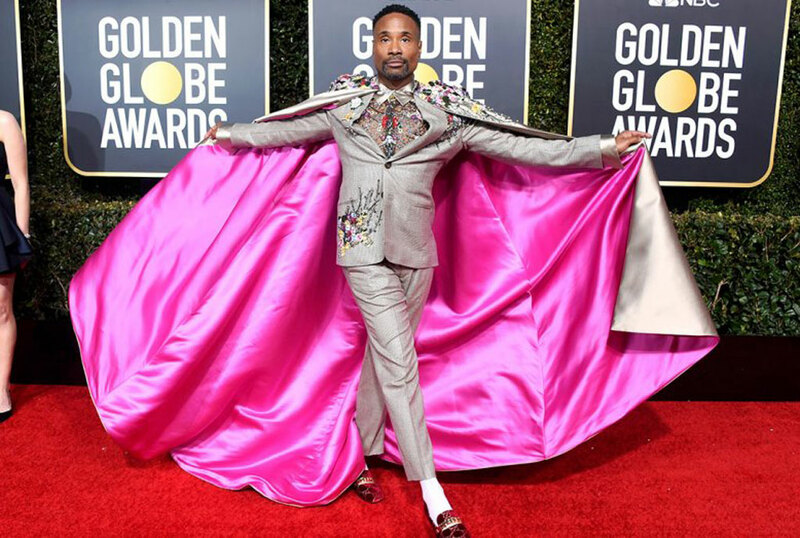 But this is not the first time that Billy Porter has taken over the red carpet. His iconic look at the Golden Globe’s Awards is still the talk of Tinsel Town.